Subscribe to the Produced Water Working Group Stakeholder email list to receive news updates. Brackish Water: Legislative changes this past Session (HB3405) have given OWRB authority to permit water wells in the brackish water zones. Formerly, water wells in formations where water >5,000 mg/l TDS could not be completed and had to be plugged or protective of fresh water zones. Now wells may be completed in those brackish zones of 5,000 to 10,000 mg/l TDS for industrial use such as O&G or potentially for drinking water made potable through advanced treatment. Rule Amendments to Title 785 OWRB Chapters 30 and 35 are proposed and will be finalized in January and sent to the Legislature this spring for approval. 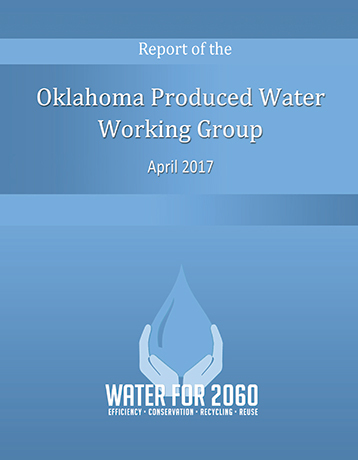 Discussions have begun from an informal group of government and university professionals looking into the possibility of delineating the base of treatable water maps and more precisely, to characterize the brackish water resources in Oklahoma using exisiting well log data. Such maps and information could be useful as a potential water source for both O&G operations now and municipal desal in the future. Industry has shown some interest in supporting this effort. As a final opportunity to meet with Sec. of Energy and Environment, Michael Teague, named Members of the PWWG were invited to the OWRB this month with representatives from the USBR Feasibility Study team to hear a preliminary assessment of the findings from the Study and discuss other current issues in the state regarding produced water. The intent of this meeting was to consider some potential initiatives for the path forward. The USBR Feasibilty Study will be completed soon; slated for release in spring of 2019. New Mexico and EPA officials announced an agreement yesterday to look at regulations on how oil field wastewater might be reused, particularly in arid states where groundwater and surface water are increasingly scarce. Blind sample testing of produced water will be occuring this July. Our goal is to get a broad snapshot of water quality in the both the Miss-Lime and STACK plays. While this small sample set (8 samples) certainly will not be definitive, it should help our study develop an informed comparative analysis of water quality variability between the plays and may point out potential issues, or perhaps alleviate some concerns, regarding blended use of Miss-Lime water to frack STACK wells. The feasibility study is progressing on schedule; barring any unforeseen setbacks, we anticipate a draft report out by this fall and should be finalized well before the grant completion date of March 2019. 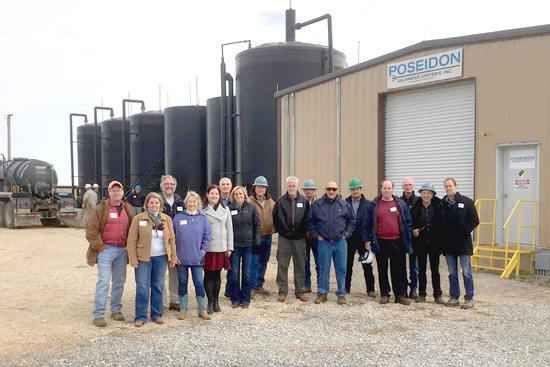 Technical workshops were held January 16 & 17 with industry specialists to discuss produced water reuse via pipeline transfer and evaporation solutions as opposed to injection disposal. Investigation of the technical, economic, and environmental feasibility of the transfer of PW from the state's Mississippi Lime play to the central Oklahoma plays for reuse in oil and gas operations. Investigation of technical, economic, and environmental feasibility of current PW evaporation technologies on a wide scale as a PW management option. $150,000 Federal (matched with $150,000 Local Cost-Share - In Kind) PWWG's proposal to U.S. Bureau of Reclamation's Title XVI WaterSMART Grants to fund a deeper look at some of Phase 1 more promising findings. Project Partners include: OWRB, GWPC, EDF, and BEG-UT. SB 285 – (Schulz) Oklahoma Brine and Produced Water Development Act, and treats produced water as brine under the act. - Available for consideration and amendments during 2018 legislative session. SB 475 – (Schulz) Expands tax collections on skim oil to treat salt water from produced water the same. - Failed Deadline – April 27, 2017. Available for consideration and amendments during 2018 legislative session. SB 743 (Schulz) creates the Oil and Gas Produced Water Recycling and Reuse Act, requires OCC to identify produced water as hazardous waste and develop rules for recycling and reuse of such waste. - Available for consideration and amendments during 2018 legislative session. 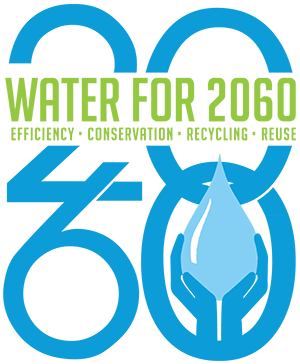 The Water for 2060 Advisory Council's recommendations for the energy and industry sector include promoting the industrial use of marginal quality waters, such as produced water, and increasing opportunities for energy and industry water users to share information and supplies. On Dec. 1, 2015, Governor Mary Fallin announced the formation of a fact-finding work group to look at ways that water produced in oil and natural gas operations may be recycled or reused instead of being injected into underground disposal wells. The non-regulatory Water for 2060 Produced Water Working Group has been charged with identifying regulatory, technical, and economic barriers to produced water reuse as well as looking at opportunities and challenges associated with treating produced water for beneficial uses, such as industrial use, or crop irrigation. Work Group members met as a last opportunity with Secretary Teague to discuss the status of PW in OK, preliminary findings from the USBR Feasibility Study, and potential paths forward for the PWWG. One such initiative presented was regarding the benefits and challenges to find and map productive brackish water sources as an alternative to fresh water for fracking. Two half-day workshops focused on 1. PW Transfer Miss-Lime to STACK play; and 2. Evaporation Technologies were held at the Oklahoma History Center with industry professionals to discuss the possibilities and barriers associated with each alternative.